Buying a home takes commitment, including a heavy financial investment. Perhaps most immediately relevant, you’ll have to save up to afford the down payment. There’s more to making a down payment than just having a large savings account, however. Home buyers can find other sources of funds, including down payment assistance programs. Common wisdom states homeowners need 20 percent of a home’s value as a down payment. That number is more flexible than it first appears, however. NerdWallet pointed out that 20 percent is more recommended than required today. Homeowners who pay 20 percent up front avoid mortgage insurance, may pay less per month and may become eligible for lower interest rates. As for finding the down payment, a buyer’s own savings represent the main source of money. If those don’t cover the cost, however, there are some simple funding options available. It is acceptable to pay a down payment with gift money, according to the Consumer Financial Protection Bureau. This method has an extra requirement – buyers must sign a document attesting that the money was given without condition and isn’t a loan. If there are no gifts available, homeowners can take money from an individual retirement account. The CFPB recommends people should examine the pros and cons carefully before employing it. 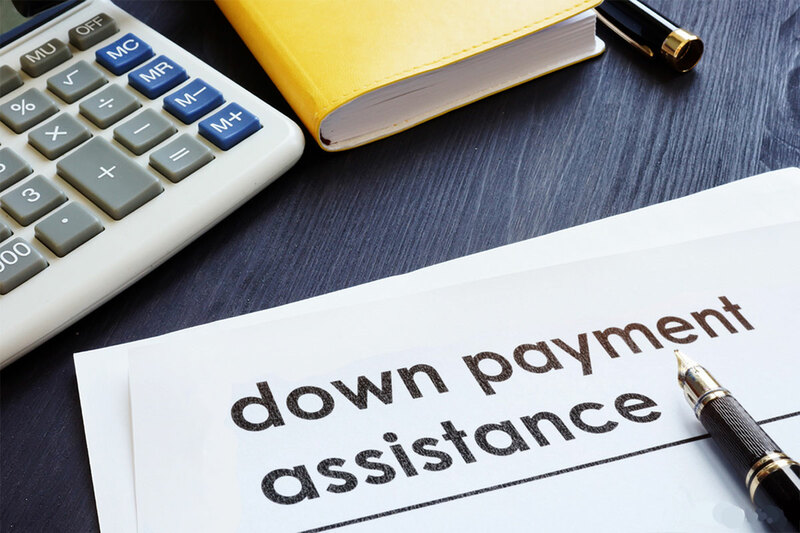 When the aforementioned methods of gathering funds fall short, but you’re still confident that the time is right to buy and want a larger down payment, you can turn to more formal types of assistance. For example, government-sponsored agency Freddie Mac explained there are options such as second mortgage loans and grants. The former is the most common way to find money for a down payment, with states and municipalities offering money with deferred repayments. Grants don’t require repayment but do have their own conditions, centering around living in a house for a specified amount of time. The Department of Housing and Urban Development sends funds to states, which are distributed at the community level. The HUD site is a main place for potential buyers to check on whether they qualify for any of the agency’s programs. There may be special consideration given for first-time buyers, and the options can differ based on a number of factors. HUD counselors recommend that, in addition to the down payment, home buyers should have an extra 3 to 4 percent of the cost of the home on hand, as they’ll have to pay the various closing costs to complete the signing. Due to the extremely varied amounts of money typically required to buy a house, with down payments ranging from a few percentage points to the traditional 20 percent and beyond, there’s no single answer to whether you’ve saved enough. You’ll need to do your own math and consult with trusted parties to make a confident and responsible decision. Here’s more advice from First Centennial on steps beyond the down payment. Previous When do you drop PMI?